G-SCALE trains have different power requirements than the smaller scales such as N and HO/OO. G-SCALE equipment is typically larger..
Due to the higher power requirements of G-Scale, we typically implement extra protection in the form of circuit breakers (relays) to help protect against damage in the event of a short. 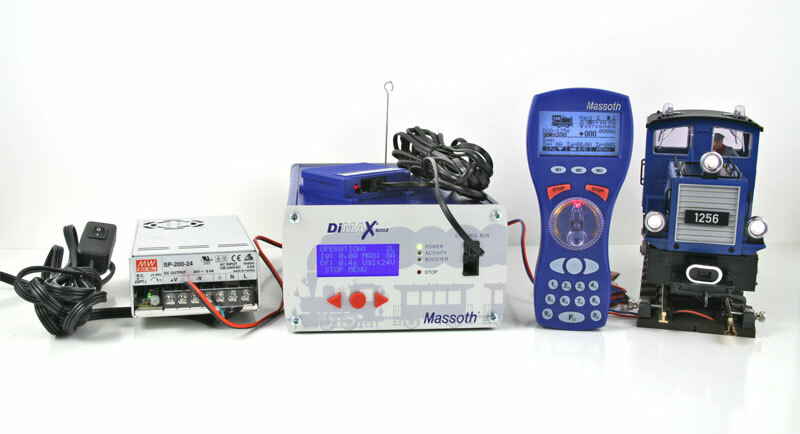 Massoth is the maker of all LGB electronics and Massoth is the only manufacture that makes DCC/MTS products that meet BOTH NMRA DCC standards AND LGB type I, II and III MTS standards. This means this is the only product line guaranteed to operate ALL your old and new LGB locomotives with type I, II and III decoders as well as all NMRA standard DCC products.